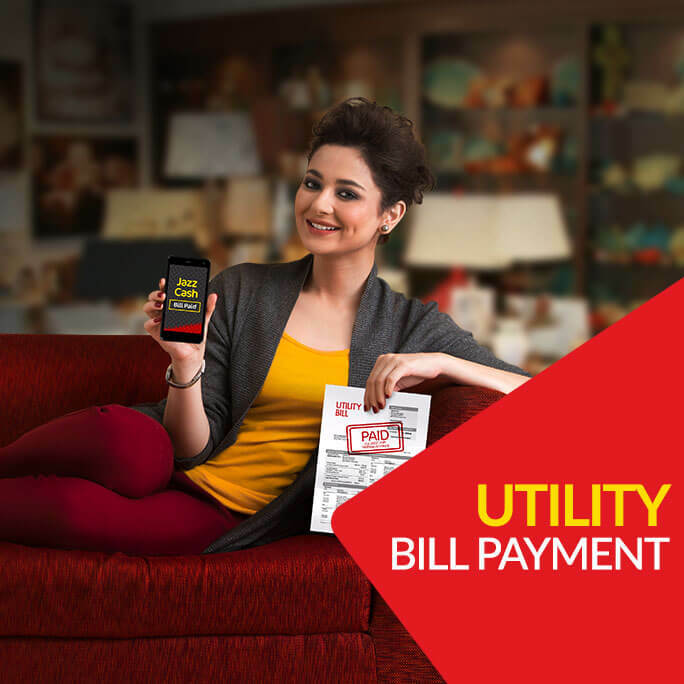 Jazz introduces the most convenient and simple way yet to make your bill payments. Through JazzCash’s bill payment service, you will be able to pay your electricity, gas, telephone, water and Jazz Postpaid, for free. Pay everywhere, anywhere: Now you have the choice of easily paying your bills through the vast network of Jazz franchises, customer care centers or JazzCash retailers. Visit your nearest JazzCash agent to pay your bills with the convenience you have always wanted! 24/7 availability: JazzCash services are available 24/7 so you can pay your bills at any time of the day or night, 7 days a week from all Jazz franchises, customer care centers or JazzCash retailers. Just bring your utility bill and the due cash amount to pay the utility bill at any Jazz customer care center, franchise or JazzCash retailer. Ask the respective JazzCash agent to pay your utility bill using the JazzCash utility bill payment service. Provide the JazzCash Agent with your mobile phone number (if you have one) so as to receive a confirmatory message regarding the payment of your bill. In case you do not have a mobile phone, you should check for the confirmatory message on the agent’s mobile phone. There are no additional charges for bill payment through Jazz franchise, customer care center or JazzCash retailer.